Prepared this most popular snowman sugar cookies this winter and they are really cute and taste good too. 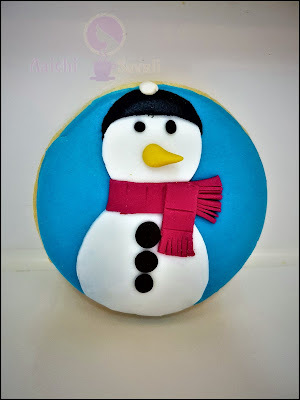 This fondant covered Snowman Sugar Cookies melt in your mouth. 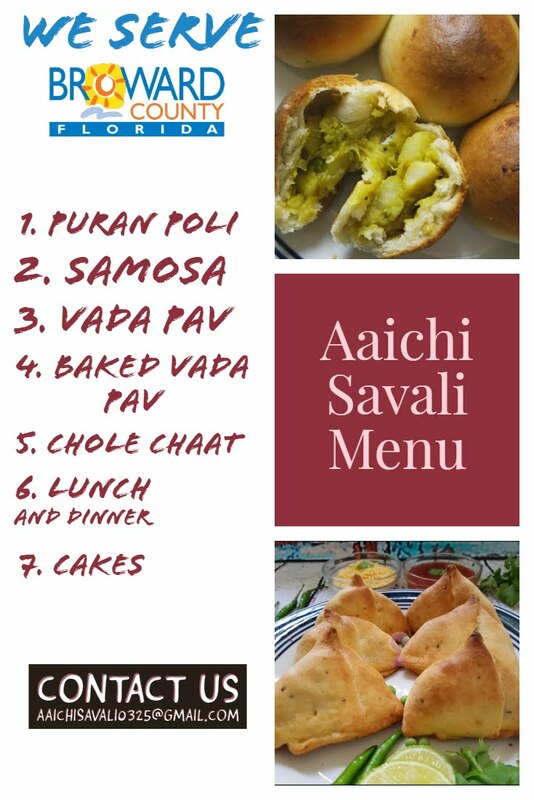 And I enjoyed making these. Prepare your cookie and cut into circles shapes before baking and leaving to fully cool. Roll out the sky blue fondant, until a couple of mm (1/8") in thickness. Using circle cookie cutter cut the fondant and place over the cookie, here our base is ready. 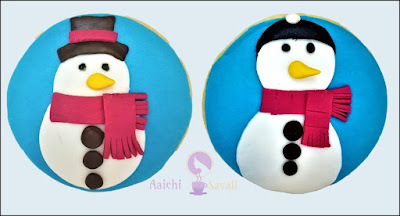 Now, roll white fondant and by using the circle cookie cutter cut out a shape. 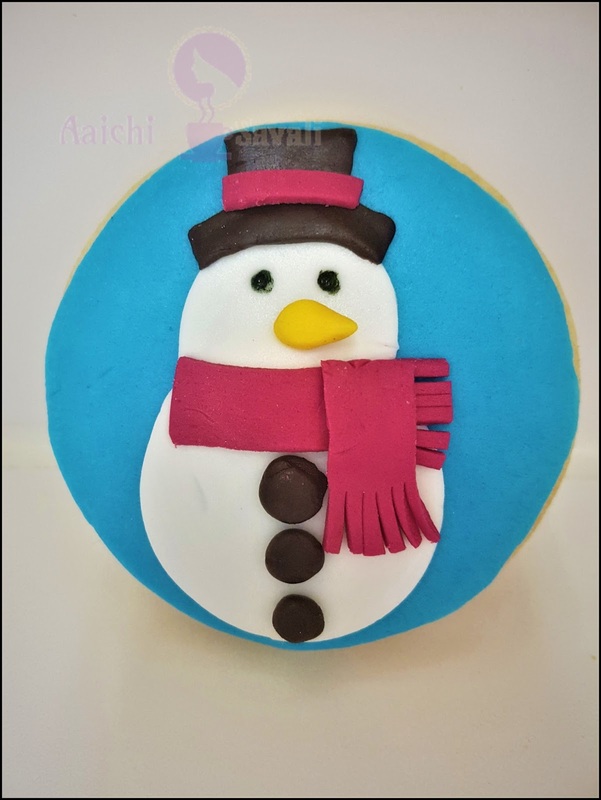 Firstly, place the big circle over and that will make a body of the snowman and then over the big circle place the small circle to make the face. Using the edible pen marker draw eyes. Shape a small nose using yellow fondant and adhere to the middle of the face. Using the small amount of water adhere the scarf pieces around the neck of the snowman and cut any overhang at the neck off using the sharp knife. Then using the edible pen draw 3 dots for the design over stomach or you can use small balls of black fondant too. To make hat just roll black fondant and cut into a rectangular shape as shown in the video and in the middle just paste pink fondant strip. Tadaa, cute and sweet snowman cookies are ready. Enjoy!!! I like to lift my fondant frequently to ensure it does now stick to the surface while rolling it out.